What do you do when it’s 95? I have to keep pig-farmer’s Berkshires cool. 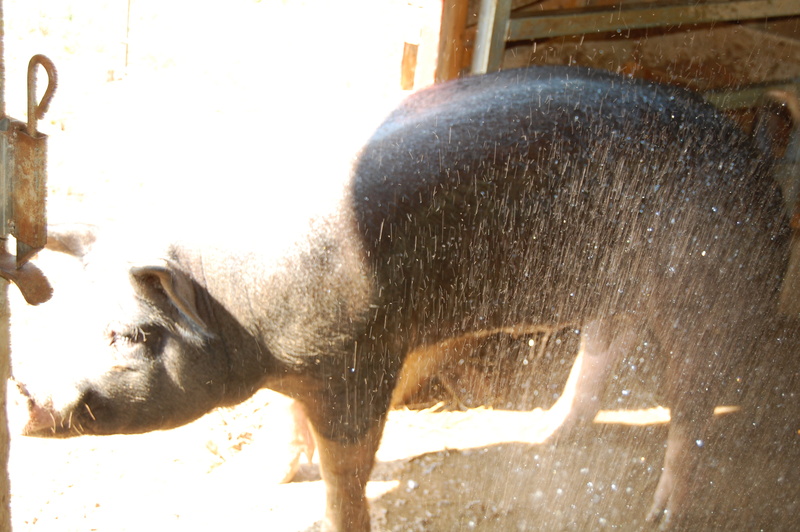 Did you know pigs do not sweat? Therefore, they are very susceptible to over-heating. Their previous farm had a sprinkler system. Our sprinkler system is me, with a hose. 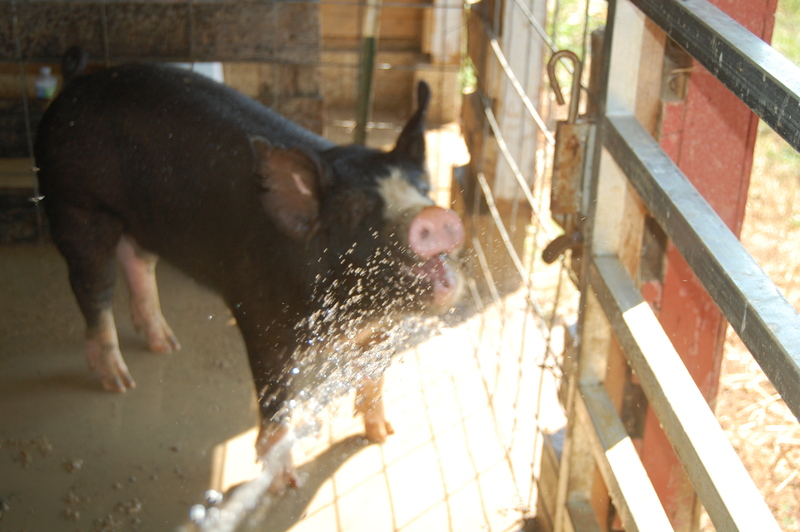 Bert will drink from the hose. Bernice prefers her back to be sprayed. All of the animals are getting several checks through the day. Treats, too. Happy hates to be left out. Early-mornings have been for pumpkin and gourd harvesting. 530 pounds of pumpkins to the local garden/landscape center. Afternoons are for decorating and cleaning inside – thankfully, in air conditioning! 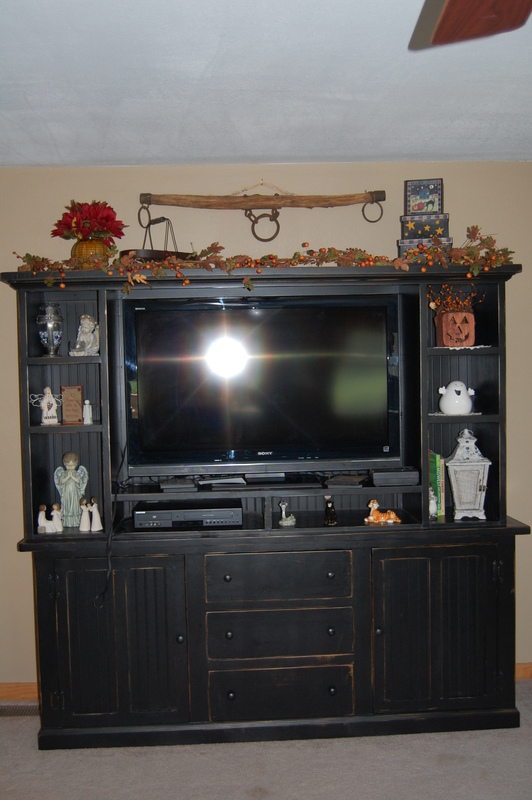 I hope my fall decorations help bring fall-like temperatures! This entry was posted in Country Living, Work/Career and tagged Autumn, Berkshire pigs, Country life, fall, gourds, Happy the donkey, Pig-farmer, pumpkins. Bookmark the permalink. The pumpkins in the truck bed are gorgeous. Couldn’t you just get the pigs a kiddie pool at Wal-Mart? It’s just as hot here and I melt after a couple of hours. Hey your photos and captions aren’t together in a couple of shots. All you gotta do to fix that is edit the photo and click the box that says something about linking the caption to the photo. Thanks for info – I’ll have to play around with that. I thought you meant you were going to play around with the idea of a kiddie pool for the pigs. Sorry. 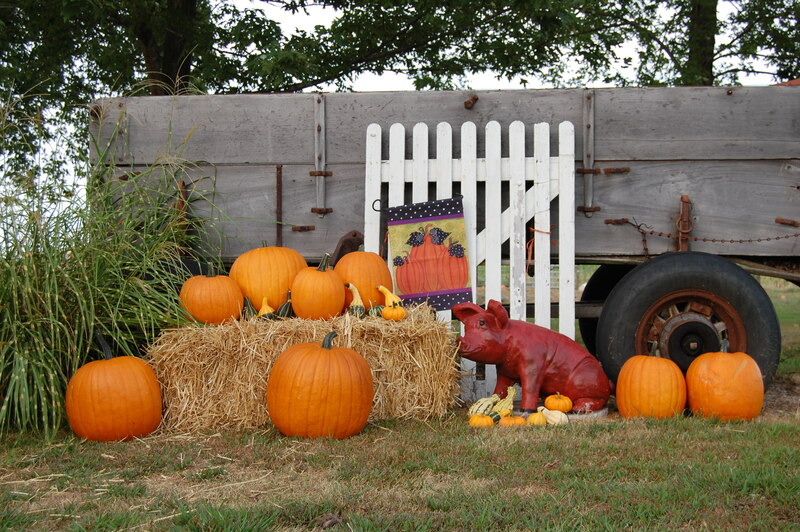 Love the fall decor and the pigs are adorable!!!! I think it’s so cute how they love the water hose!!! 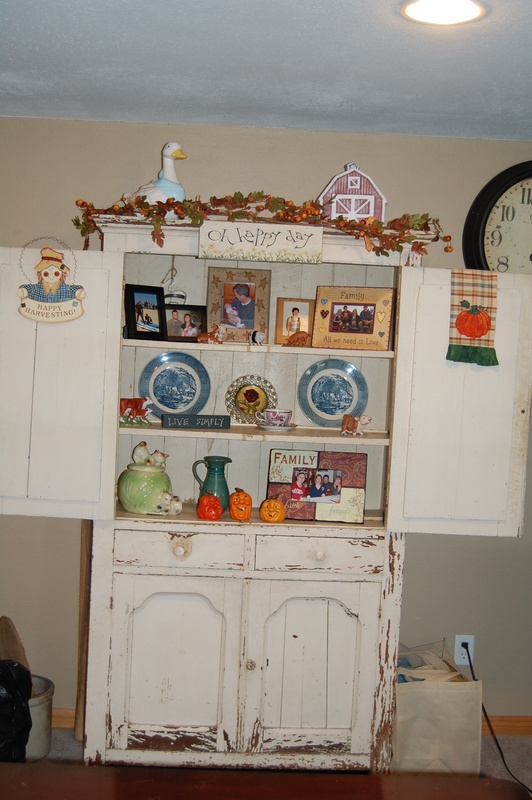 I’m so ready to decorate for fall. This is probably the earliest I’ve ever decorated: Thanks to working at home now and the 95 degree weather! I hope to see some pics! Yes I will post as soon as I get done! 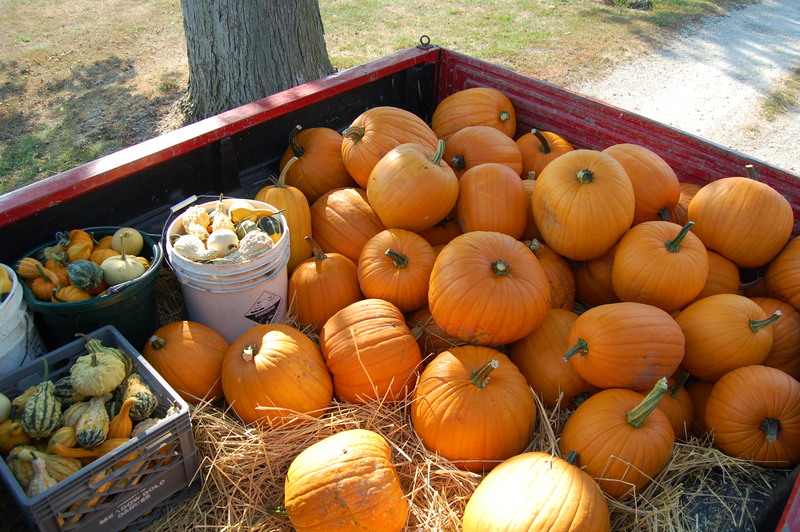 Love the truck full of pumpkins! It’s so hot here, too. I’m ready for some fall! Growing the pumpkins and gourds have really made me look forward to fall! It finally cooled down here! It has been hot like that here for a while, too. 97 today again. We need rain and may bet some in the morning. I hope you get rain soon! That’s lots of pretty pumpkins! The pigs do seem to enjoy the water. I feel sorry for the animals when it gets drastically hot (or cold). We do what we can to help them stay comfortable. I love those piggy smiles! Pigs are so much fun…just like playful puppies ALL THE TIME! 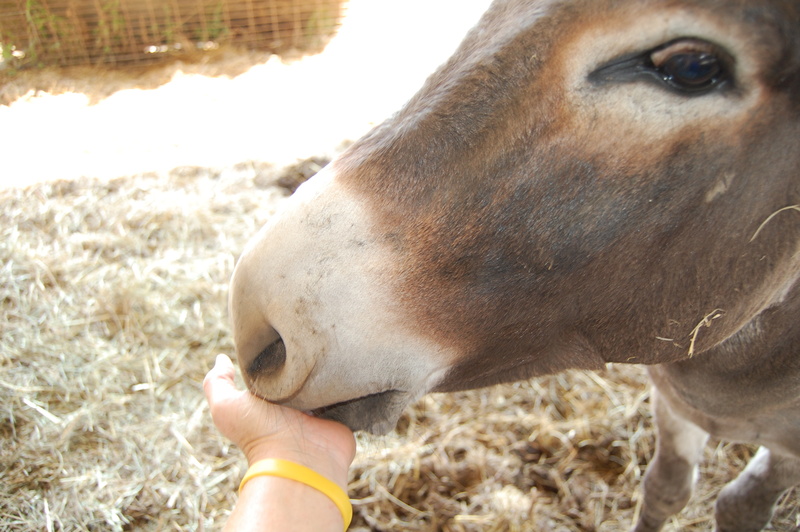 I love trying to capture the animals’ expressions in pictures!